Cantonese food - the food of south-eastern China and Hong Kong - was the first Chinese regional cuisine to gain a foothold in Australia, and has since become the most popular. Over time it has morphed to suit mainstream Australian tastes, giving us "Chinese-Australian" classics such as sweet & sour pork and beef & black bean, served with a side of fried rice. Rather than becoming a shadow of its former self, this food court "Chinese food" is real Cantonese food in a funhouse mirror - its proportions all wrong, the colours are oversaturated, and it is only vaguely reminiscent of its origins. 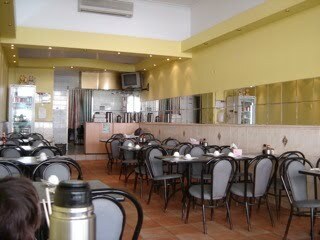 Many Australians grew up eating at "the local Chinese", usually a place with apricot-coloured napkins, knives and forks on the table, and a "mysterious East"-style name like "Jade Pagoda" or "Emperor's Garden." 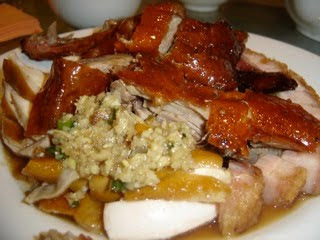 If you've never tried a real Cantonese restaurant, you're in for a treat. 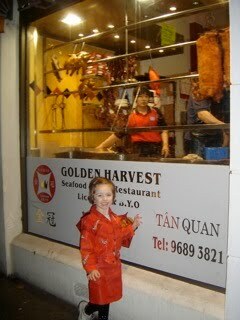 Golden Harvest in Footscray is a great example. Like many restaurants of this type, it has its BBQ meats hanging in the window. I had a "roast on rice" for lunch a while ago and was unimpressed, but penny aka jeroxie highly recommended them, so we decided they deserved another chance. 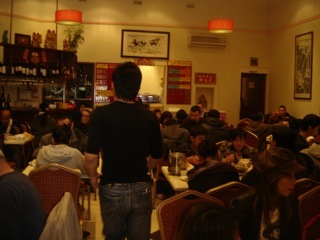 It was packed that Saturday night and we just squeezed onto a table in the corner. Waiters buzzed about to the sound of the heavy thock thock of the cleaver on the big wooden chopping board, as the BBQ meat chef chopped up pork bellies or roast duck. 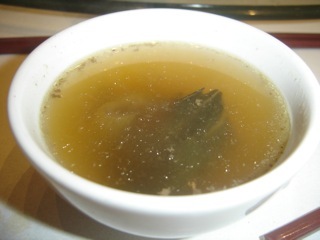 At these BBQ restaurants, you will often get a complimentary "house soup" to start. If they forget, just ask. Here we have great soya chicken topped with a ginger "relish," and heavenly crispy pork. The pork is my favourite BBQ meat - it's like a layer cake with juicy meat topped with a big chunk of fat, then crispy skin icing. They serve it with a light, sweet soy. The duck was good, but a bit greasy. 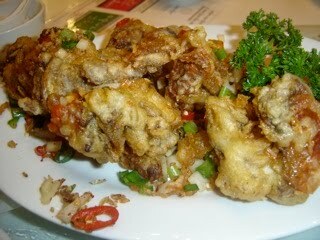 If there's a soft shell crab to be found, you can bet the Baklovers will be nearby. The crabs are harvested at a particular stage of development so that the shell is not fully formed. This means you can eat the entire thing - shell, meat, and crispy batter in one heavenly mouthful! I love the "sprinkle" of lightly wokked garlic, spring onion, and chilli that comes over these salt-and-pepper style dishes. It contrasts so well with the crispy deep-fried goodness. Thank you penny for this awesome rec! These are deep-fried quenelles of soft tofu, studded with Chinese sausage. Their sweet name comes from their ovoid shape which resembles a traditional instrument, the pipa, that looks somewhat like a lute. 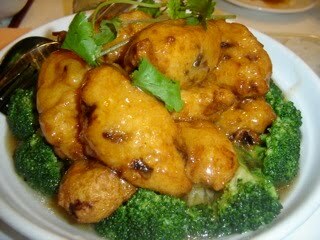 These came in a light but tasty sauce thickened with cornflour, atop lightly cooked broccoli. 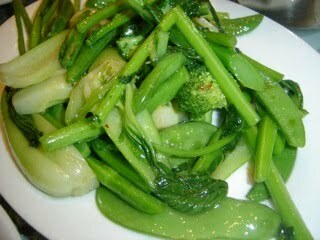 What is it about Cantonese-style vegetables that is so good? Please don't burst my bubble and say MSG. Seriously though, these were so crunchy, tasty, and fresh. Cornflour-based sauces are much maligned, and for good reason when you consider the technicolour gloop masquerading as Chinese fare in food court bain-maries. When used judiciously, though, cornflour makes a light sauce cling to the vegetables, which really brings out their flavour. I never feel weighed down after this kind of food. The pork is fatty, but I find that naturally stops you from overeating it. I could happily eat nothing but the vegetables with steamed rice and a little soy sauce, all washed down with jasmine tea. 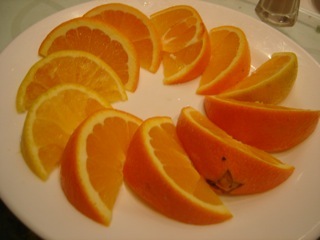 The complimentary orange slices were a lovely fresh touch to end a great meal. Bain marie good, bain marie bad? Bad is what I saw at a major Melbourne hospital recently - in the cafeteria, a bored server slit a plastic pouch from ear to ear and dumped its sloppy contents into the waiting silver pan. Let food be thy medicine? Thanks, but I'd rather pack a sandwich. 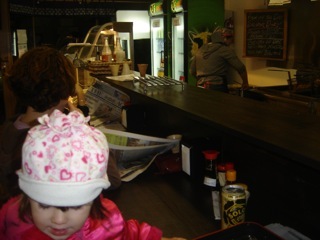 Indi Hots has a bain marie, but don't stop reading now. This little diner perches on the far eastern end of Footscray's CBD, watched over by Franco Cozzo... The lovable, somewhat zany patriarch of old Footscray watches as the baton is passed on to a new generation. The menu is a tiny whiteboard by the kitchen door, on which careful lettering slants endearingly upward. Service here is delightful. India's answer to the dagwood dog. 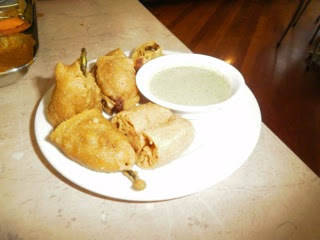 Long green chillies enveloped in crunchy chickpea flour batter, served with a creamy mint chutney. Delicious! 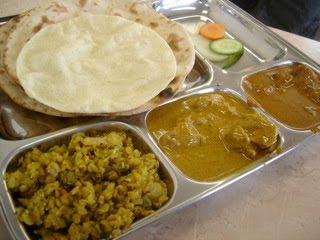 Many young Indians, when going out to eat, don't choose the rogan josh and butter chicken that non-Indians associate so strongly with Indian food. You will see many Indian restaurants proclaiming their "Indian Chinese" specialties, as this is often what the younger crowd want. 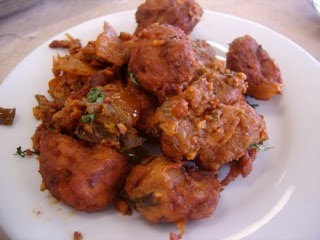 Chilli chicken is a great example - nuggets of chicken, deep-fried, and tossed with a flavour-packed capsicum, onion and tomato relish. Yum! Were we in the tropics and not rainy Footscray, we might have a banana leaf thali spread before us, heaped with little mounds of curries. This silver thali platter might lack romanticism, but it has gravity firmly on side - its deep pockets mean that none of the delicious curries escape. Chewy, tasty roti bread, made with wholemeal flour, is perfect for scooping up tender morsels of goat in a supremely delicious, tomato-based gravy. Chicken curry is more-ishly creamy and smooth but packs a chilli sting in the tail, and a simple, dry-fried lentil and vegetable dish is heightened with mustard seeds and coconut. 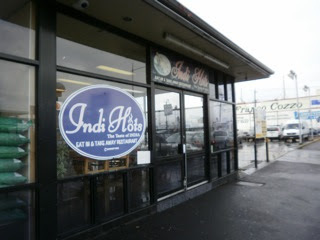 Indi Hots = bain marie good. Now if we could just get them the contract for that horrible hospital canteen, I might actually look forward to having a blood test. Penny's International Incident Parties are so fun. They're sort of culinary word-association tests - say "dumplings" or "noodles", and see the cavalcade of different associations passionate cooks tease from them. 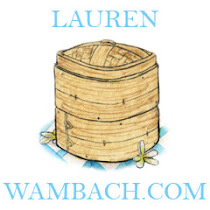 For our last party, I was wanton with wontons. Now, let's canoodle with noodles! You know those lists that start, "You know you're a... when..."? Like, "You know you're obsessed with food when you have cookbooks on your bedside table." Or, "You know you're a blogger when you begin to regale a friend or family member with a great story, and they interrupt you to say, 'I know. I read it on your blog.'" Well, I want to start one with, "You know you're a mum when you can make a killer bolognese sauce." Here in Australia, when you just can't face another uneaten dinner, pasta with bolognese sauce is every mum's little helper. Stacked in tidy bricks in my freezer, it conceals a myriad of grated vegetables, and still elicits shrieks of joy when it appears on the table atop pasta and covered in cheese. Sometimes it does get boring, though, and you need to mix things up. 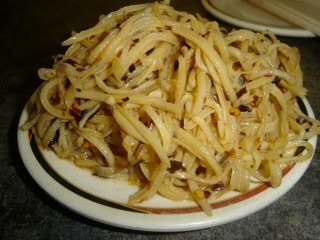 At this party, I want to share with you our other family favourite - "Grandpa's special noodles," also known in our family as Chinese spaghetti bolognese. 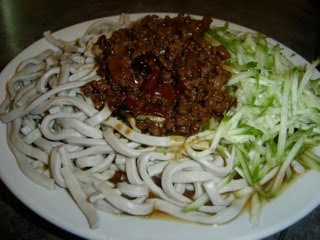 This is based on a traditional recipe from Northern China of wheat noodles topped with pork mince in a sweet brown bean sauce. Julienned or grated cucumber is added at the last minute, to make a dish that is true comfort food. Note: Australian tablespoons are 20 mL, not 15 as they are in the US. Please adjust accordingly! 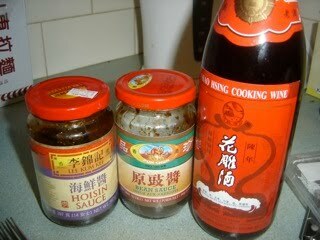 Mix sauce ingredients (except cornflour) together and set aside. If using dried noodles, cook in boiling water, drain, and set aside. Grate or julienne cucumber. Heat a wok over high heat until smoking. Add the oil, drizzling it down the sides. Add garlic and spring onion and stir-fry for 20 seconds. Add pork mince and stir-fry, constantly stirring to break it up. Cook for around 10 minutes until done. Add combined sauce ingredients (except cornflour). Cook over high heat for 7 minutes. Add cornflour and hot water mixture; bring to the boil, allowing it to thicken. 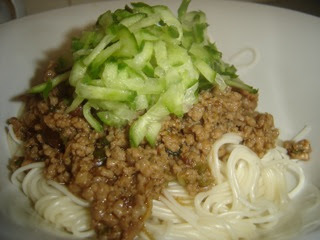 Cook for a few more minutes and serve atop cooked noodles, topped with cucumber. I hope you enjoy one of our family favourites. Make sure you check out all the other oodles of noodles below! Thanks to Kate from Mommy Monologues for the "You know you're a blogger when..." line. They all made me laugh! I love Footscray for the way it constantly subverts my expectations. 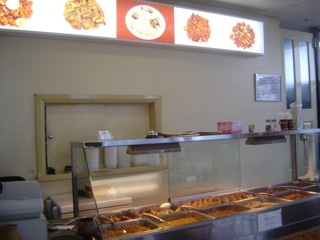 One time, meandering through the "little Khartoum" arcade, I spied some golden morsels in the normally-empty bain marie of the little Somali café. Oh, I thought excitedly - perhaps these are some rare golden morsel of East African street food, redolent with Red Sea spices? 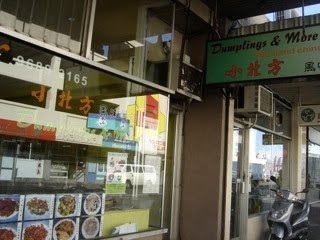 No - they were good old dim sims! In another subversion, I love that the Northern Chinese places, 1+1 and Dumplings & More, do better lamb kebabs than the tired old Nicholson St kebab shops. To really enjoy Footscray, you need to "give in" to it, go with the tide, and not let your expectations and preconceived notions get in the way. 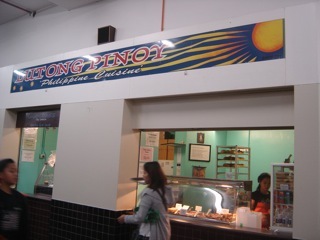 Otherwise, you might just stride on past Lutong Pinoy in the Footscray Market undercroft, assuming they are only good for fried milkfish and pork blood stew... and then you would totally miss out on their boutique line of imports by the fabulous Cupcakes by Paolo! I have been just itching to try these since Maria of the Gourmet Challenge posted her droolworthy photos and reviews. 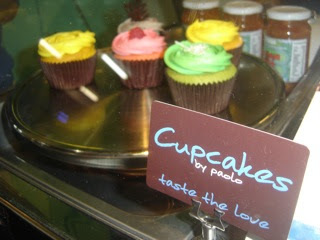 However, Paolo's little beauties are only available on Saturday mornings, and are usually sold out whenever I have been passing by. 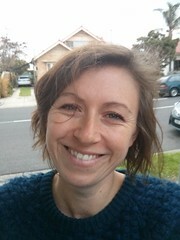 This last Saturday, there were some left, and thank goodness - I don't think my beautiful pregnant friend who was coming over that day would have appreciated the runner-up prize of a bowl of pork blood stew to accompany her cup of tea! 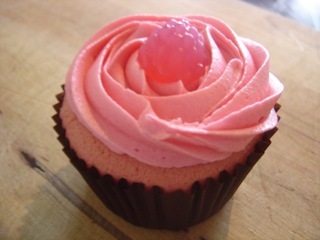 First cupcake out of the box was raspberry. This had the heady, sticky scent of raspberry lollies, and took me back to my childhood, clutching a 20 cent piece in a sticky palm, waiting in breathless anticipation as the milk bar lady filled a little white paper bag with mixed lollies. Pandan has been described as Asia's "vanilla essence", as it often lends its sweet, aromatic, almost musty aroma to desserts. 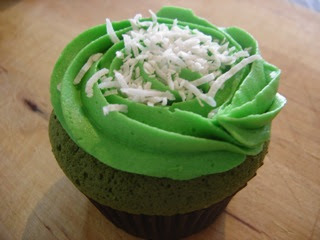 This green beauty was fragrant with pandan. 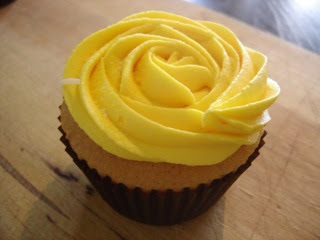 And if you are wondering - yes, the icing is as good as it looks! The pineapple didn't do it for me, though - Sarah and I both thought it tasted more like banana lollies. All these three cupcakes were on ultra-light bases, which Sarah likened to Asian-style sponge cake. Personally, they were not "meaty" enough for me - I prefer a denser, richer cake, especially as a complement to all that sinfully indulgent icing. Well, Paolo must have read my mind, because the Cookies & Cream was the bomb! The base was dense, moist chocolate mud cake - like a big, squishy hug. 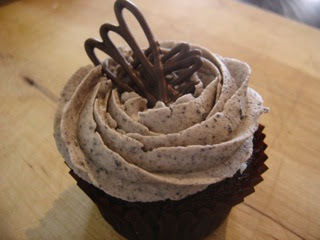 So many times cupcakes are all about the icing, and you may as well toss out the dry, mealy cake underneath. Even though I personally didn't like the ultra-light bases, Paolo has really nailed it with the chocolate. Next time you're out picking up your vegies from Little Saigon and your lentils from the Indian shop to serve on Ethiopian injera, grab some cupcakes from the Filipino takeaway for dessert. Now there's a meal fit for Footscray! "Move back! I can't see!" "Get off me! You're totally in the way!" "No, you are, you freak... Oh my god, you made me miss Ba Le's power pâté punch! I'm gonna kill you!" "Oh yeah? You just wait, I'm gonna... Whoa! The cucumber screwdriver!" "What? Move! I can't see! "You move! What, it's over? Who won?" "You totally ruined it! Take that!" As the old black and white TV flickers, two brothers and their cousin wrestle on the floor, replaying the epic struggle they have just witnessed. The battle of the banh mi is being waged again, this time between beefy twins Footscray and Richmond, as their little cousin Preston - small yet feisty - lands a lucky punch or two. As the coffee table is knocked over and the glasses of soda go flying, the boys are a blur of arms and legs, and it's impossible to tell one from the other. We are so lucky here in Melbourne, Australia, to have a number of Vietnamese neighbourhoods woven into the fabric of our city. Melbourne loves her Vietnamese sons. 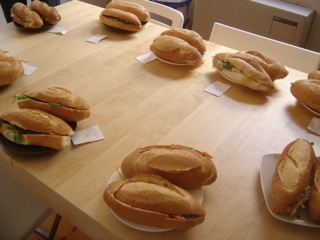 Which plucky young one will win the blind banh mi battle? Banh mi fixings. From left to right: gio lua, char siu, "jellymeat"
Banh mi are a Vietnamese take on a classic French sandwich. 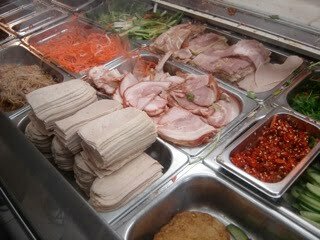 They can have many fillings, like BBQ chicken, meatballs, roast pork, or even tofu, but the classic is banh mi thit nguoi or "mixed ham roll." This starts with a crunchy bread roll, which is deftly sliced and spread with a chiaroscuro of flavour - a shimmering streak of pale egg mayo (aka "butter") on one side, and rich, dark pâté on the other. Three kinds of ham are normally added - gio lua, a pale Vietnamese "sausage" of pounded pork, often seen in a banana leaf-wrapped cylinder; char siu or Chinese-style BBQ pork, often with a red edge; and a type of head cheese (affectionately known by us as "jellymeat"), which is various porky odds and ends, pressed together and bound with aspic. The meaty trio is topped with sweet pickled carrots, often mixed with similarly pickled white radish or onion; cucumber; coriander/cilantro; fresh chilli; and a sprinkle of Maggi sauce. I arrived at the our "kitchen stadium" (penny aka jeroxie's cosy kitchen) and added my wager of 6 rolls from Footscray's finest bakeries to the growing pile on the table. We started nervously at the piles of banh mi, dormant in their white paper packages. Billy had devised an ingenious "blind tasting" system where all tasters would be unaware of the provenance of each roll. With a nervous gulp of tea, we began our quest, slowly munching our way through 18 carefully segmented sandwiches. Screwed up noses contrasted with emphatic nodding of heads as carrot and crumbs piled up in our laps like a snowdrift. What I discovered was the best sandwiches began with good bread. 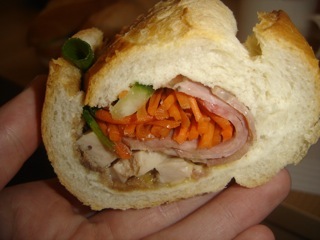 For me, banh mi cannot be made with regular, Australian-style white bread that is thick, chewy, and with a soft crust. My favourite rolls had crackly crusts that shattered when you bit in, covering you in a confetti of crumbs and crust. The interior of the bread should be quite airy and with an open crumb, so the filling takes centre stage. The meat had to be fresh, tasty, and not too fatty; the pâté rich, non-grainy, and equally distributed; and the salad zingy with sweet vinegar, but not overpowering. Sports fans - there was a clear winner. Both everyone's individual top score and our totalled combined top score pointed to Nhu Lan of Footscray as the far and away victor! 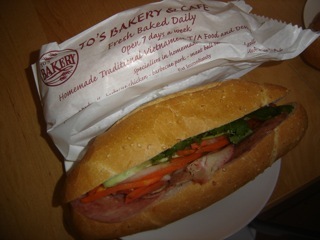 In my own notes, Nhu Lan scored full marks for their excellent crusty bread and fresh, balanced ham combination. I deducted marks for salad and overall flavour, which I find somewhat bemusing as I often buy a salad-only banh mi from Nhu Lan, so enamored am I of their pickled carrots. This little shop is the busiest bakery in Footscray by far, and it's also the most expensive, at $3.80 for a banh mi thit nguoi compared to $3.20 - $3.50 elsewhere. But let's be serious - for such freshness, flavour, and variety, how can you call $3.80 expensive?! On the scorecard above, the numbers along the top correspond to the following bakeries. 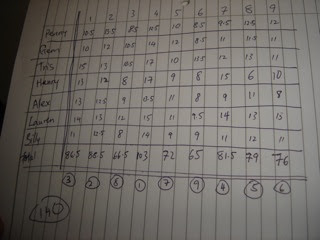 You can see each taster's individual scores, and the numbers in circles down the bottom are the bakeries' overall rankings. That night, a battle was waged in my belly. Over twenty-seven different pieces of ham roiled in a sea of egg butter, and a single, crisp green apple was all I could manage for dinner. This fighter is hanging up her banh mi boots. What's that? You're off to Nhu Lan? Oh, go on. I'll have a banh mi with BBQ chicken. Hey, I'm always up for a rematch. Thank you Billy for organising the battle and to Penny for hosting it. I look forward to future food forays! For the last few weeks, my daughter and I have been hung up on this place, where we go and eat lamb on skewers and potato salad. Hmm, you are thinking, how very un-Footscray of you. What is this place - some kind of el-cheapo pub buffet? A fundraiser BBQ in a windswept parking lot somewhere? What if I told you it's a restaurant serving mainland Chinese cuisine? When we left Richmond, I was devastated to part with Xiao Ting Box on Victoria St. Their fabulously fat, juicy, Northern-style dumplings were enough to make me overlook the grotty floor and sticky tables and keep me coming back. I still eat there on the odd occasion I make it back to Richmond, but as those visits are fewer and farther between, it was time to cut the apron strings and find a new dumpling purveyor. 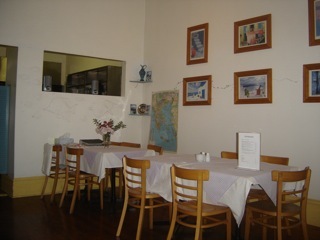 I like the intimate feel of this little restaurant. Service is attentive and earnest, and they love kids. One time, after taking our order, the waiter walked out the door to return 5 minutes later with bags of vegetables and meat from the nearby Asian supermarket. That's fresh! This is home-style Northern Chinese cooking. Rice and wheat are equal partners, potatoes pop up unexpectedly, and lamb features in authentic recipes. Their cold salad offerings are a real surprise if you are used to Cantonese food, in which vegetables may be cooked very lightly, but they are still served hot. You can keep your salad cream and your hard-boiled eggs - this potato salad would give any Aussie version a run for its money. The potato is grated, lightly cooked, and dressed with vinegar, a little chilli, and a touch of sesame oil. So delicious and refreshing. 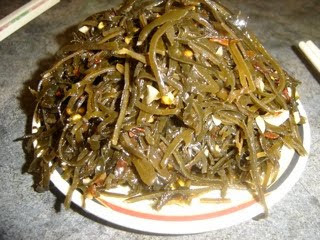 I just love Japanese seaweed salad - a tangle of emerald green, often stuffed atop rice in a boat-shaped, wrinkled inari or sweet beancurd pocket. Dumplings & More's seaweed offering is its plainer older sister, reserved and demure - but still waters run deep. This seaweed is more like kelp, very thinly sliced but with an almost leathery feel. The texture upon eating is fantastic though, pleasantly chewy, with the same tangy, spicy dressing as the potato version. 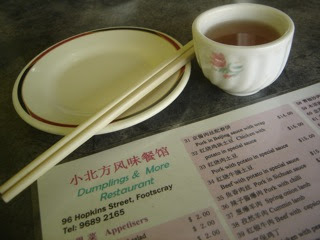 I love Cantonese dumplings like har gow and siu mai, with their paper-thin, delicate wrappers. 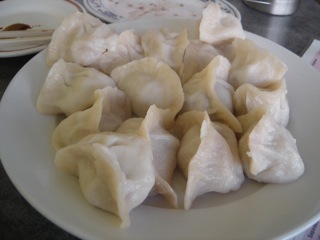 Northern Chinese dumplings are so different, with thick, fat, white skins. These pork dumplings were not the best I've ever had, though. 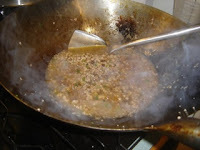 The filling was quite rustic and coarsely minced, with a little too much ginger. Their beef counterparts, fried this time, had the wonderful contrast between the dough's soft interior and its crispy exterior. Unfortunately, the filling did lack flavour. This was a simple, honest dish of tender pork and crunchy capsicum, cooked quickly and simply in soy and a little rice wine. It was great, but the bottom layer had to be sacrificed due to the puddle of oil it sat in. Beijing-style noodles - these ones handmade I suspect, long, slippery, and ash-grey in colour - topped with roughly minced pork and shredded cucumber. Could this be the precursor to spaghetti bolognese, carried along the Silk Road back to Italy? Dumplings & More's version was good, but lacked punch and the sweetness that should come from the brown bean sauce. With ho-hum dumplings and lacklustre mains, why keep going back? Dear readers, I will overlook a multitude of sins for just another of Dumplings & More's lamb skewers. Tender, smoky, juicy lamb, quickly grilled, then sprinkled with an Aladdin's spice mix of cumin and chilli. The flavour is absolutely superb, and makes me daydream of caravans along the Silk Road, open fires on shifting sands. 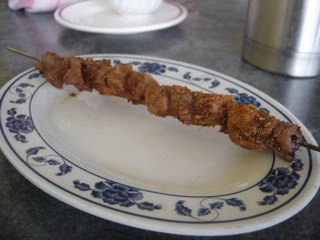 A couple of these skewers and a salad will set you back $5 and I promise will be one of the best lunches you've ever had. One time I was in there, a burly truckie came through the door. Like a lighthouse in his fluoro yellow safety jacket, he squared his broad shoulders up to the counter, smiled a familiar smile to the owner, and called for three lamb and three kidney skewers. Here is a man, I thought, who looks like he has the pick of roadhouses from Kealba to Kalgoorlie, but when he gets a hankering for steak & kidney, Dumplings & More is his pick. I love winter. With muted sounds, the day materialises slowly out of the grey morning mist. From my study window, I watch the lemon tree come slowly into focus, like a photo blooming onto paper under the darkroom light. "Winter" - the word itself is stark yet beautiful in its austerity, like bare-boned trees. We still go the park a couple of times a week, only now instead of sunhats by the door, there are coats. The hated woolly beanies are assigned at the door only to spontaneously "fall off" within a few metres of home. 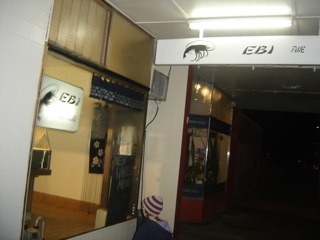 As we walk to the park and back, we always pass by Ebi. My first visit a couple of months ago failed to blow me away, but the comments on that post are building slowly to fever pitch, extolling this little Japanese café's virtues. The release of their new "Winter Menu" was the excuse to revisit I needed. Early on this cold night, warm light diffused out of the shopfront, its windows steamed up invitingly. I had called ahead, but they were slammed, and customers continued to walk in and order. The owner was a picture of calm, though. Every burner on their stove was covered by a bubbling pot, and I enjoyed watching them make their vegetarian takoyaki (octopus balls) in a traditional mold, somewhat like a patty pan over the burner. 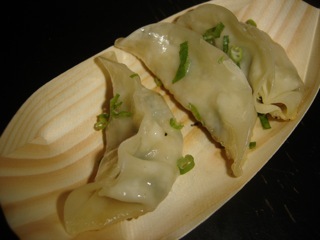 These gyoza were great - handmade with a chunky, almost creamy prawn filling. 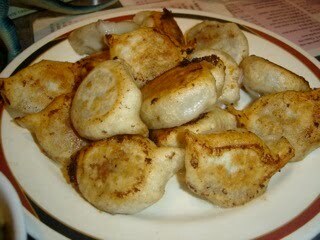 The delicate, soft dumpling skin on the sides contrasts with their crispy bottoms. They came with a light soy and vinegar dipping sauce. This was the most fabulous fish and chips! No less than four pieces of spanking fresh mirror dory in great clouds of sensationally crispy batter. The chips were fantastic too. I contend that they have changed their chip supplier - previously they had those very long, thick, flavourless chips that pubs are very fond of. These were stubbier, golden, and much crispier. My only complaint was that everything was a touch oily; I think it could have been drained just half a minute longer. May I say, though, what excellent value - four pieces of fish and all those lovely chips for 12 bucks! 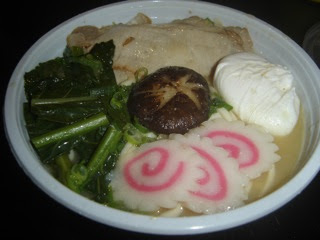 A new addition to the winter menu is ramen noodle soup with either soy or miso broth. We chose miso, but unfortunately we were disappointed. While the toppings were good - pork, a perfectly poached egg, traditional Japanese fish cake, tasty green vegetable, and fat shiitake mushroom - the broth and noodles were unremarkable. Iron Tokage, with whom I had dinner, contended that they were in fact udon noodles, not ramen at all. I think this really needs to be eaten at the counter and not as takeaway, or at the very least, have the soup served separately and poured on over the noodles at home. But... oh, god! The pork belly! SWOON! This gets my vote for dish of the year thus far. The most unctuous, marvellous, tender, slow-cooked pork belly. The first bite was a "put down the chopsticks and sigh" moment. 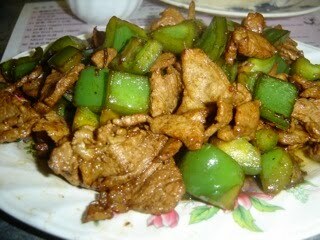 The rich meat is infused with ginger and sweet soy. Alongside was sweet and tender braised daikon with a pleasant earthy flavour, as well as hard-boiled eggs. The accompanying salad had wonderful vinegared vegetables including a slice of lotus root and a sort of spear of bamboo. 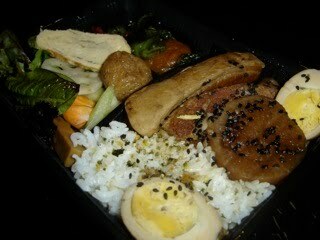 In another compartment in the bento a little piece of eggplant nestled, anointed with creamy, salty miso sauce. Fantastic! Ebi has definitely found its stride. I applaud its gumption in opening in this out-of-the-way location, and I now believe its confidence is well founded. The food is so cheap for such a high standard and such attention to detail. 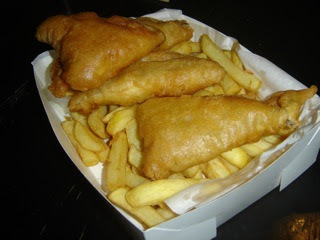 I do love a good old school fish & chipper, but Ebi's fish and chips have won me over too. Ebi, banzai! Your food is fabulous. Long may your flags flutter in the breath of fresh air you have brought to our pocket of Footscray. Every time I crossed Moonee Ponds junction, it was there, in the corner of my eye. A beaten-up weatherboard, just like those that used to dominate Richmond when I first lived there fifteen years ago, now spruced up or demolished to make way for units. 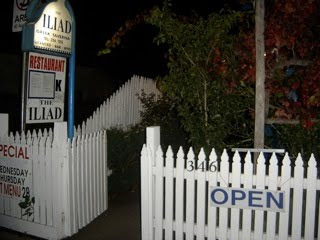 A small sign proclaimed "The Iliad" to the passing traffic on Ascot Vale Road, the facade of this little restaurant hidden behind twisted grapevines. This restaurant became something of a touchstone for Mr Baklover and I. "Imagine," I would ponder, wine in hand, one hip against the counter, "The old yiayia in the back, folding dolmades...." When we heard that it was rumored to be threatened with compulsory acquisition to make way for a new development, we thumped our fists on the kitchen counter, sloshing our wine, fervent in our defence of the underdog. So finally, on a rare babysitter evening, we ignored the siren song of dosa and dumplings emanating from Footscray and headed to Moonee Ponds. When I leave receipts in my wallet she will find them and later ask me questions about why I paid so much for certain items. She loves flowers and buys them all the time. I dare not buy them for her as she’ll ask me how much I paid. And I’m sure it would be too much. So true. I will modify my whole menu rather than be forced to buy those sad specimens of herbs from Coles, de-rooted and anemic in their plastic bags, for outrageously inflated prices. My husband is banned from doing the shopping since the time he once came back once with a designer box of Kleenex, and I had a conniption at the thought of how many boxes of "Polar Serene" 180s that could have bought from down in Footscray. I am so used to paying less than $15 to waddle out of a restaurant stuffed to the gills with fresh, amazing flavours, that at $38.50 each, the Iliad's banquet was facing an uphill battle from the get-go. Inside, music strained ineffectively to be heard over the roar of an extractor fan. The large dining room is pleasant, but its high ceilings and wooden floors amplified even the smallest sound. Our chairs scraped self-consciously in and then out on the wooden floor as we moved from one table to another, trying to escape the fan noise and gain some privacy, but it droned on incessantly. The banquet offered the best value. It began with homemade bread and a mixed platter of dips and pickled vegetables. Tzatziki, taramosalata (fish roe), eggplant, and skordalia (garlic potato) would have been great with the warm bread if they had been a little warmer themselves. 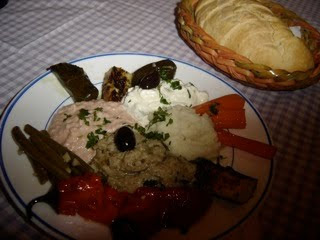 Alas, the dips, dolmades, olives, and pickled vegies was tooth-achingly cold. I do understand the need for health and safety, but restaurants serve cheeses at close to room temperature, so why not dips? The pickled vegetables, particularly the green beans and the carrots, were good though. 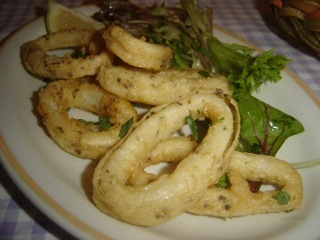 Calamari rings, which were very lightly battered and cooked quickly. These were really, really yummy. 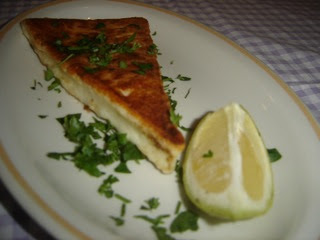 Saganaki, the famous Greek cheese that is pan-fried and eaten hot, with a little lemon if you like. This one was too thick, in my opinion, and not cooked long enough, so that it was merely warm. Greek salad, unremarkable except for the excellent feta on top that was so smooth and creamy. 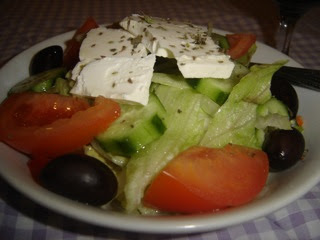 This is the authentic way to make Greek salad, in that the feta is in a wedge on top, rather than crumbled throughout. 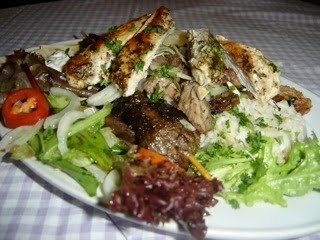 Mixed meat platter with chicken fillet, lamb souvlaki, kefthedes (meatballs), and a little lamb gyros. Sadly, this was an anticlimax. The meat was underseasoned, the chicken was somewhat dry, and some pieces of lamb tough. All the while, the extractor fan thundered on. Gazing out onto the forlorn concrete courtyard, I began to yawn. We declined our included coffee and escaped outside, free of the infernal fan. Through the frigid, still night air, we marched briskly to our car with arms folded defensively - full, yet unfulfilled.